Thomas is a Macon native and Northeast High School graduate who went to Florida State University on basketball and track and field scholarships. When she joined the Macon-Bibb Fire Department in 1990, she says she didn’t intend on staying. She was part of the suppression team, then went on to work in education and inspections. Now that she’s at the helm of the prevention department, she gets to combine the elements of the job she loves. 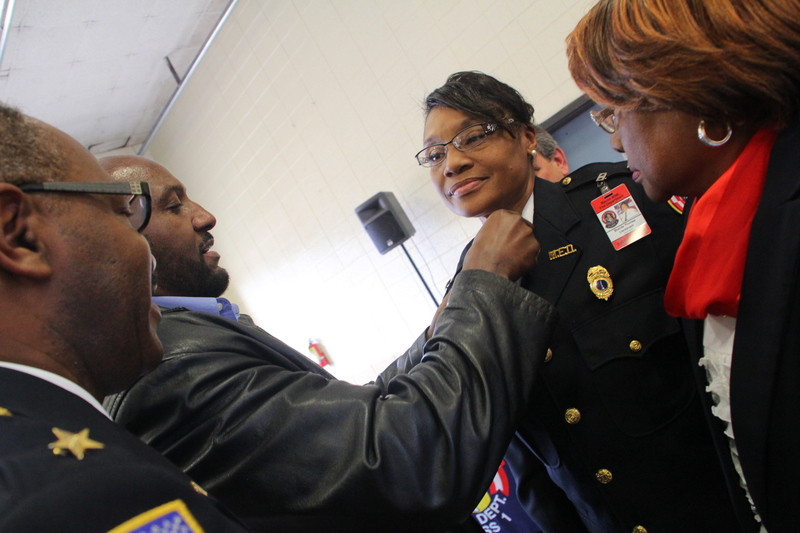 Chief Thomas takes great pride in what she does, and wants to make sure every person living in Macon-Bibb is safe. “Prevention, prevention, prevention! That’s the biggest and most important thing I can stress is that every home in Macon-Bibb county has a working smoke alarm, and a fire escape plan. Not one or the other, but both,” Thomas said. She wants to remind everyone that the fire department offers the free service of smoke detector installation. you can call (478) 751-9180 to get set up . Click here to watch a MaconBibbTV feature on Chief Thomas.